Post-excavation processing of archaeological evidence is an inevitable component of archaeological practice. During this work a picture of the past is formed from vast amounts of collected data. A precondition of the successful post-excavation work is effective organization of the information to be worked with. Nowadays, the use of modern computer technologies offers solutions for keeping the archaeological data in organized and safe form. The use of recently developed computing tools allows statistical and mathematical analyses, which previously would not easily be carried out. The use of Geographic Information Systems (GIS) simplifies the process of collecting, storing and analysing the geo-referenced data describing the region, site and/or individual archaeological features. For KSAM research purposes, ESRI ArcGis software has been chosen as a tool for 2D and 3D data modelling, investigating spatial queries and performing geographic-data-based analyses. As a part and parcel of the GIS, the relational database has been tailored for existing hard copy documentation consisting of feature lists, registration lists, photographic documentation, drawn plans, and drawings. The hard copy documentation is continuously digitized and inputted into the database on a daily basis. The database has been implemented using Microsoft Access 2003 software that allows the building of SQL databases offering sufficient functionality and performance, however requiring minimal technical support. At the present time, the GIS is in the stage of collecting and processing the data which results in 2D and 3D outputs. 2D outputs, such as digital versions of maps and plans, enable an understanding of horizontal spatial relations within the surveyed site or region. 3D outputs (models of the region, site and/or individual archaeological features) carry more elements of reality as they show 3D relations within the explored units. 3D digital models of terrain or individual features are suitable for more sophisticated spatial analyses. 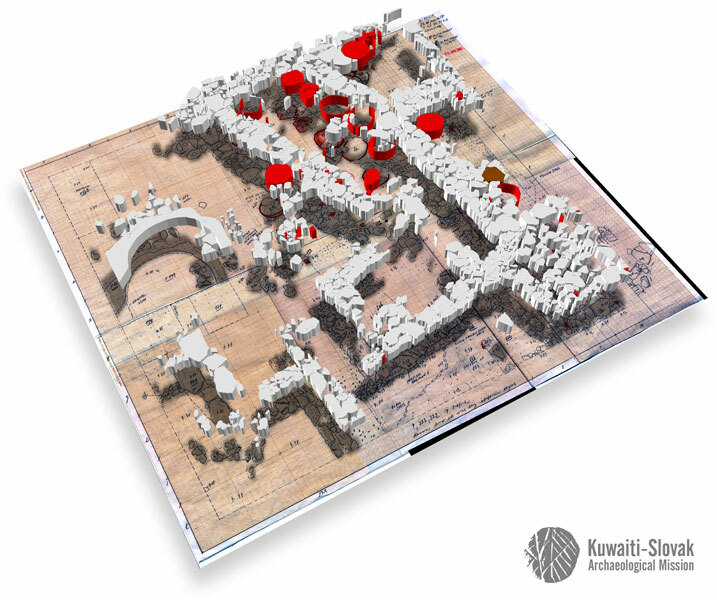 By employing visualization and analytical methods, digital archaeology clearly contributes to the efficiency of archaeological research on Failaka. The possibilities of handling large amounts of information, formulating complex questions and visualizing hidden spatial relations deeply enhance our understanding of the site and its environment. Based on the formalized description of archaeological and palaeoenvironmental evidence, the presented system enables us to investigate the site on a fully computerized basis. The advantage of such an approach is that the evidence can be viewed from various and potentially novel perspectives relative to the scope of the question being investigated. Benediková, L. – Štolc, S. – Bartík, M. – Ďuriš, J. 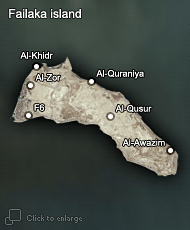 2011–2014: Contribution of GIS and Digital Archaeology to the Interpretation of Stratigraphic Relations on the Bronze Age Site al-Khidr, Failaka Island, State of Kuwait: Imagery Analyses of Trenches 22S and 22T – Case Study. White paper.